Morris is associate professor of history at Union College in Schenectady, New York, and the author of a forthcoming book on Hurricane Camille and the politics of disaster relief. In the aftermath of Friday’s 7.0-magnitude earthquake that struck near Anchorage, CNN relayed a presidential tweet: "Trump tweets to Alaska: ‘Federal Government will spare no expense.’ "
Future historians will have to assess where this disaster fits in the broader story of the Trump presidency and its management of catastrophes such as Hurricanes Maria and Harvey or the California wildfires. But President Donald Trump's tweet, and the assumption that the federal government will open its checkbook for the state, recalls another Alaska earthquake that decisively altered the trajectory of American disaster politics, one that permanently increased national responsibility for disaster recovery. The 9.2-magnitude seismic shocker known as the "Great Alaska Earthquake" that struck on the evening of March 27, 1964, was the largest recorded earthquake in U.S. history. More powerful than the San Francisco Earthquake of 1906, it crumpled roads and toppled buildings in Anchorage, sent shock waves and a tsunami south toward the U.S. Pacific coast, and caused the Space Needle in Seattle, Washington, to sway ominously. According to a recent U.S. Geological Survey reexamination, it was powerful enough that it "caused the entire Earth to ring like a bell." The earthquake, despite its seismic significance, never attained the same historical repute as the one that had devastated the bustling city of San Francisco a half-century earlier. Alaska in the mid-1960s was sparsely populated and had been a state for only five years. But the quake deserves recognition for the disaster policies cobbled together in its aftermath, policies that would have a profound effect on the trajectory of American disaster policy into the 21st century. The earthquake hit at a moment when federalism still dictated the contours of disaster responsibility. State, local and private agencies (most important, the American National Red Cross) were still the front line of response and recovery. Though the federal government had robustly mobilized for big events such as the 1906 earthquake and the 1938 New England hurricane, the ongoing federal role was limited primarily to reconstruction of public facilities and providing low-interest loans through the Small Business Administration to homeowners and business to rebuild. Even those policies were relatively recent, dating to the 1930s and codified in the 1950 Disaster Relief Act. The presumption remained, at least on paper, that the federal government would remain a secondary player in meeting disaster needs. In Alaska in 1964, however, the earthquake thrust together a young state government and federal officials with expansive views of national power and responsibility. Four days after the quake, President Lyndon B. Johnson was informed in a phone call by Kermit Gordon, the Budget Bureau director, that Alaska would struggle to recover: "As you know, it's a very weak state government that just doesn't have the tools and the skills and the expertise that other states have, and I gather the leadership in the state government is not very good." In an era when the federal government was energetically compensating for states' inability or unwillingness to meet national standards, from civil rights to pollution, an expanded federal effort in Alaska was a no-brainer. Johnson converted a state-federal economic development commission that was in the works into a Federal Reconstruction and Development Planning Commission for Alaska. Congress in turn passed no fewer than four acts in the following months, replenishing the president's disaster fund and authorizing hundreds of millions of dollars in direct grants to the state to assist in recovery, far above what had been extended to states by the federal government in previous years. Congress also provided special provisions for disaster victims, including more generous 30-year low-interest loans, write-offs for some federally subsidized loans and special loans to pay off previously existing mortgages. Alaska's unique status - a sparsely populated new state facing the aftermath of an immense disaster - helped justify what was then seen as a one-off exception to the traditional balance of disaster policy. But once the marker for Alaska had been set, it quickly became the standard. When Hurricane Betsy hit New Orleans in fall 1965, the powerful Louisiana congressional delegation leaned on Johnson to support an even broader program of relief and reconstruction for the flooded city. Earlier, in the spring of 1965, when devastating tornadoes hit the Midwest, Indiana Democratic Sen. Birch Bayh had sought, as one Indianapolis newspaper headline described it, "Quake-Type Aid in Tornado Repairs." Bayh, less influential than Senate Majority Whip Russell Long, D-La., didn't get the Alaska-style aid he wanted for Indiana. But seeing what happened in Louisiana months later led him to pursue a national policy of extensive federal disaster assistance, opening "the great purse strings of Uncle Sam," as he told me later, to states, localities and individuals. This bore fruit in the Disaster Relief Act of 1970, which followed Category-5 Hurricane Camille's devastation of the Mississippi Gulf Coast. That act made permanent a range of federal disaster benefits that were pioneered following Alaska and New Orleans. Four years later, in the aftermath of Hurricane Agnes, Congress passed the Disaster Relief Act of 1974, which created the Presidential Disaster Declaration system. The Stafford Disaster Relief Act of 1988 updated and revised this law. But its core principles are still what, today, gives the federal government primacy in funding the rebuilding of disaster-struck areas. 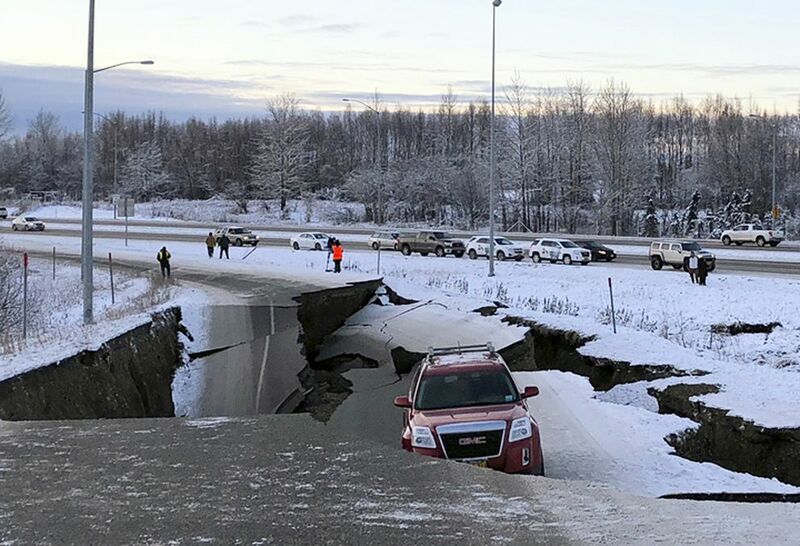 There's a wide gulf between the Alaska earthquakes of 1964 and 2018, geologically and politically. But tracing the roots of President Trump's afternoon tweet to that afternoon phone call to President Johnson helps us understand the path to where we stand now, with the federal government shouldering a significant share of the burden of rebuilding following major catastrophes. Distributed by The Washington Post.